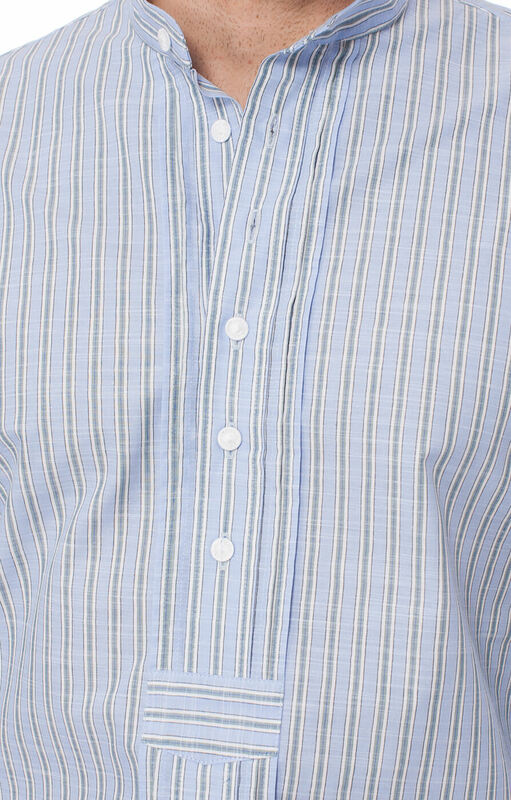 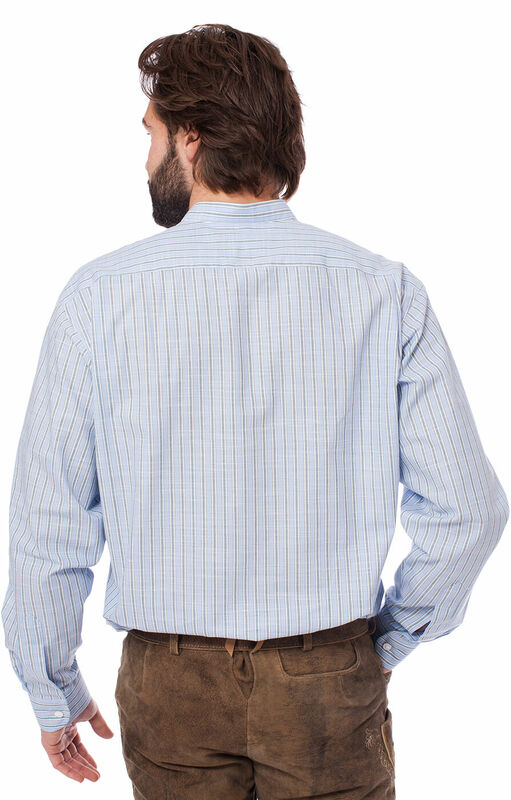 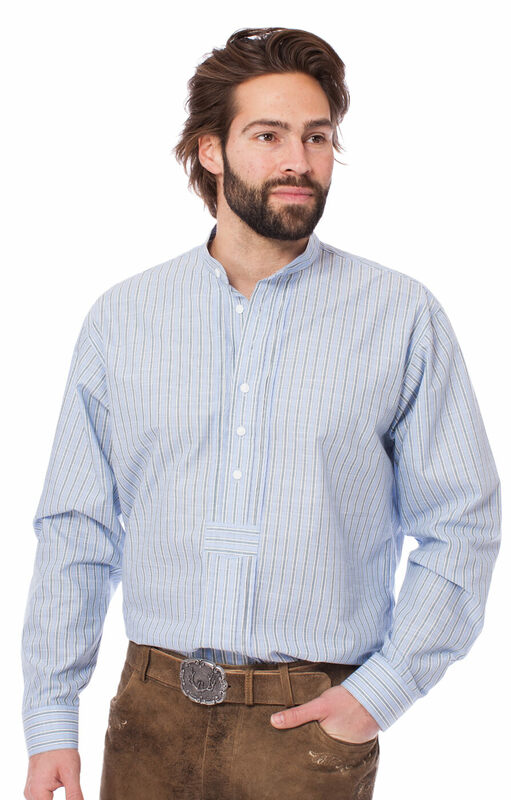 Men’s traditional light blue shirt. 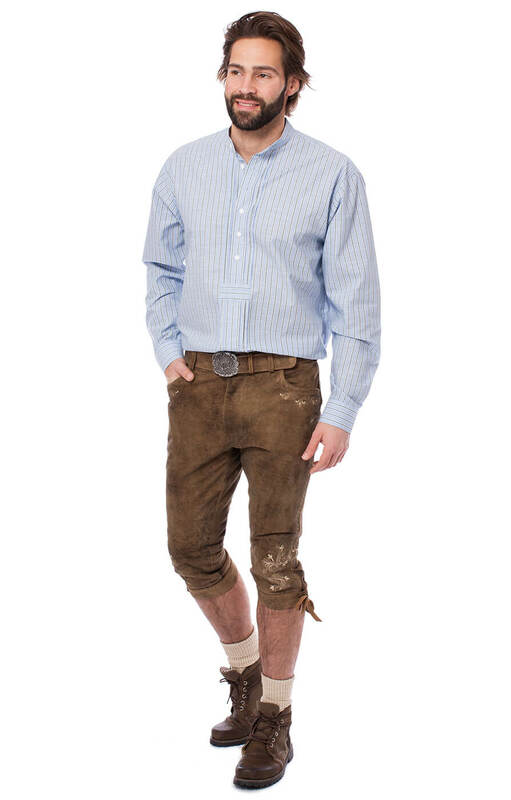 This eye-catching light blue shirt has been created from 100% cotton and is sophisticated enough to wear to the office as well as at special events such as Oktoberfest. 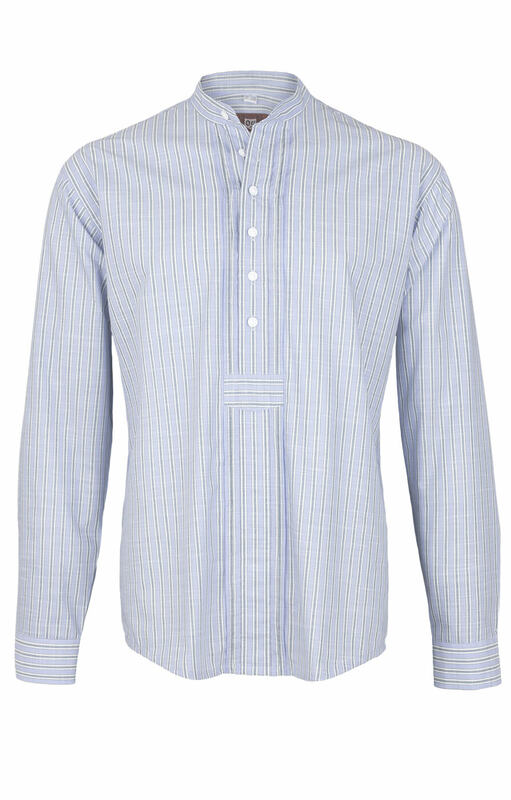 It features thin vertical stripes running through it and can be teamed with a wide range of garments such as traditional Bavarian-style leather shorts or modern jeans. 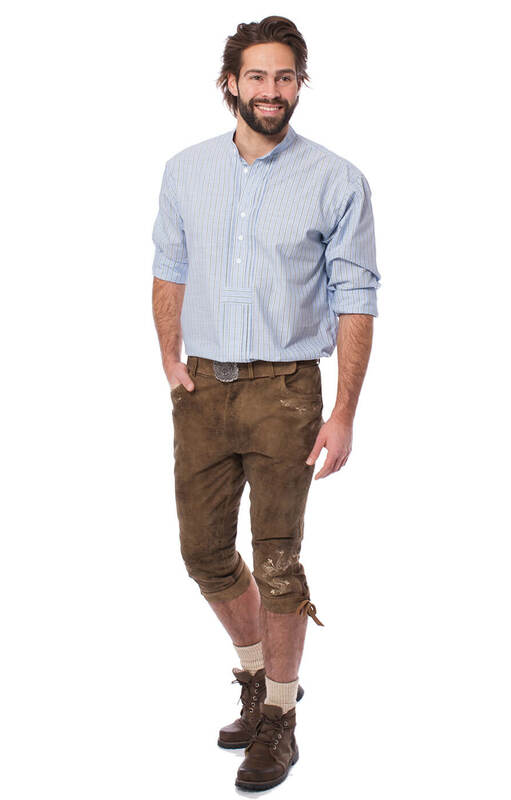 Klasse War, dazu in meiner Größe.